The first thing people see when they come to your home is obviously how it looks from the outside. In fact, the outward appearance is so important that it has been given a name that pretty much everyone already knows: curb appeal. However, making the outside of your home look like a spectacularly inviting entrance to your home isn’t always the easiest task for the average homeowner, especially if they are working within a budget. Use this guide to help you give the outside of your home a makeover and stretch your money so it doesn’t cost more than you can afford. Put a fresh coat of paint on your home. A new coat of paint can make an older house look brand new. Best of all, you’ll make everything else around your house, like your landscaping, look better in the process. If your home is particularly small, choose a very light color to make the property feel more spacious. Update items on the border of your home, like your fences. In some cases, a coat of paint is all you need to update a fence. However, in other case,s where severe damage is a problem, replacing an old fence with a more durable and up-to-date model may be your best bet. Focus on the light element of your entryway. Consider the lighting on the outside of your home to make a bold visual statement. Outdoor lighting is obviously most important at night, but those fixtures are still visible during the day. Choose fixtures that fit your home and your sense of style. For example, brass fixtures are ideal for Spanish homes while stainless ones may be more appropriate for houses that feature modern touches and architectural details like curvilinear forms. 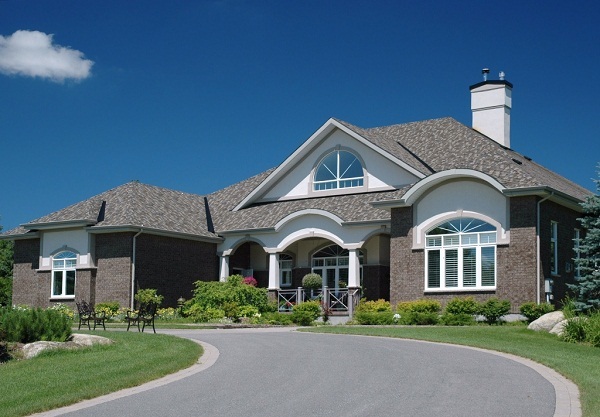 Do you desire to know how to enhance outward appearance of your house? Let’s check out a few ideas to update your entrance. Elizabeth is the Owner of California Fence Company, a leading vinyl fence company in Orange County. She is committed to providing the best customer service and high quality installations of vinyl fences for her clients. The company also offers a wide variety of fencing options, which are cost-effective and attractive alternative to wood fencing. This entry was posted in Landscaping Tips and tagged Home Decor, Home Improvement, Home Renovation. Bookmark the permalink.